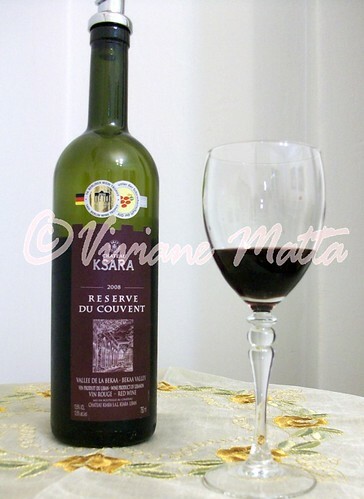 Another Lebanese red wine for review: although usually I prefer whites, this is a red I wanted to share with our readers. For a while now, the idea of reviewing wines has been a project the TB blog. We even have notes about some wines waiting in an excel form, to be transformed to a post or a full review. Today though I decided to have some wine; we received a small bottle of local wine as a gift for Christmas and it seemed like a great idea to sip with some roasted chestnuts. I am not a professional wine reviewer, I would not even pretend to be, but I can honestly say that I am a wine amateur and I will just reveal my opinion and personal taste. It is by no means an expert’s or a connoisseur’s, but your average person sharing her wine experience with our readers. Among my co-authors I am the only one who did not have a holiday to celebrate, but that does not mean it is an excuse not to feast. Well I did not exactly feast since the two recipes I am including have been made on different days. The common thing between them is that they are both first timers for me. The first is baby octopi, the second is gnocchi. I have tried both before in restaurants or at friends, but I never made them myself. The experience with gnocchi varied from the Italian perfection at Piazza Navona in Rome, with two streets dancers performing a tango on a dolent melody, to the extreme flop in a supposedly good local restaurant, where it seemed reprehensive to laugh. The octopi experience has always been pleasant to me so I had no bad memories to compensate, so I was able to experiment.